Whether a Dawg, a Rambling Wreck, or an Eagle, every Georgian wants this on the sofa! 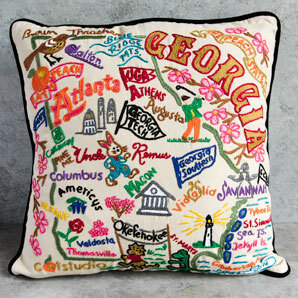 Catstudio has created a wonderful oversized pillow with all the hotspots of the Best State in the country! This will be the favorite to have on movie night with some cookies and ice cream.